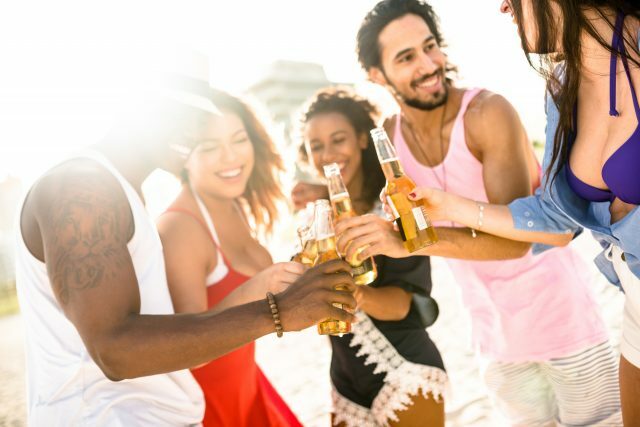 Whether you want a tropical location, to explore a different country or do something adventurous, you can have the Spring Break you want without breaking (pun intended) the bank. Lucky for you, we tapped our most wanderlust world travelers to compile a list of seven inexpensive Spring Break destinations that you can enjoy without sacrificing your savings. Here they are in no particular order. Thailand. If you want to spend your Spring Break exploring a beautiful Southeast Asian country, then give Thailand a try. Since it’s a long flight, people tend to shy away from visiting, but Thailand is very affordable and breathtakingly beautiful. In fact, average prices for meals range from $3.43-$7.14 and you can even get an hour Thai massage for around $6. Now, that’s a bargain. Playa del Carmen, Mexico. When people think of Spring Break, they immediately think of the beach, and of Mexico. Fortunately, Playa del Carmen is not as popular as destinations like Cancun for Spring Break, so you can enjoy a warm vacation without the crazy crowds. Many websites offer all-inclusive packages for Playa del Carmen with flights, ranging from $449 to $649 depending on length there, resort, etc. Costa Rica. If you are looking to relax and have adventure, then Costa Rica might be the place for you. Costa Rica has great beach resorts, and invigorating tours from zip-lining to exploring the jungle’s tree tops. The average price for a flight to Costa Rica is around $543; and according to Lonely Planet, average daily spending is between $40-$100. Dominican Republic. Another great, affordable Spring Break destination is Punta Cana in the Dominican Republic (DR). The DR is recognized as one of the most diverse Islands in the Caribbean with both Spanish and French Creole-speaking residents. And the coastal town of Punta Cana is known for its stunning beaches, water sports and golf courses. Many travel websites will put together packages that include flight and hotel starting at $649. Not bad, huh? Ireland. Ireland isn’t typically considered a “Spring Break destination,” but the stunning scenery, historic castles coupled with warm and welcoming people, definitely make it Spring Break worthy. And it might be more affordable than you think. You can sometimes find packages that include hotels, flights and a rental car for as low as $699. San Diego, California. San Diego is a great option especially if you don’t care for a long flight or leaving the country. It offers sunny weather, a stunning coastline, a nationally renowned zoo and is an ideal destination for foodies. Packages are offered around $776 for both flight and hotel for 4 days. New Orleans, Louisiana. If you want to see a place rich with culture and history, Creole food, jazz music and a truly unique atmosphere, then look no further than New Orleans. There are several inexpensive ways to spend your time in New Orleans such as visiting the Garden District or walking around the French Quarter. You can even score deals on flights and stay in hotels for as little as $90 a night.